Our product range includes a wide range of pickle packing foil in round shapes. Being a customer oriented firm, we are engaged in offering a quality approved gamut of Blister Pickle Foil. 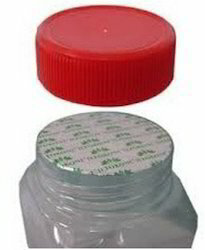 These have a “Tear-Off-Tab, which facilitates placing of the foil on the jar by the operator and removal at the consumer end thus making your product more consumers friendly. This pickle foil is resistant from corrosion on aluminum foil caused by pickles. The offered pickle foil can be availed from us at market leading rates within a confine time frame.